GoPro, the company which revolutionised the action camera industry has recently unveiled their latest flagship action camera, the Hero 6 Black. It’s considered as an incremental upgrade over last year’s Hero 5 Black, and although they both look pretty much identical in terms of design, the major changes are under the hood. To start things off, the new Hero 6 Black is powered by the company’s new custom image processor called the GP1. The chip is powerful enough to let the new camera shoot 4K footage at a buttery smooth 60 fps. In addition to this, it’s also capable of shooting in slow motion at 240 fps, while keeping the resolution at 1080p. Overall, the updated camera offers better low-light performance and dynamic range. Well, if you’re planning to get your hands on this latest action camera, you can purchase some of the vast array of GoPro Hero 6 Black accessories available on the market to enhance your GoPro experience. If you’re interested already, here are the 15 best GoPro Hero 6 Black accessories you can get your hands on. If you’re going out on a long adventure with your new action camera, the battery life offered by the GoPro Hero 6 Black just won’t make the cut, as it lasts just over an hour and a half while recording in 4K. Therefore, you’ll need to purchase as many additional batteries as you possibly can to meet your demands. The rechargeable battery pack that’s currently available on the market for the Hero 5 Black is fully compatible with the updated camera as well, since both the models use the same battery. Consider this nifty gadget to be an extension pole for your new GoPro Hero 6 that doubles as a tripod whenever you need steady shots. At 11.7 cm, it’s pocket-friendly making it an ideal companion while you’re on the move. It can be extended up to 22.7 cm and also be used as a stick for group shots, selfies, and other hard-to-reach angles. 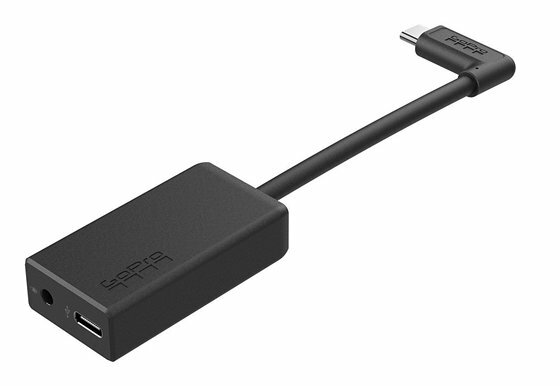 For just under 40 bucks, this is a must-buy accessory for all the GoPro Hero 6 Black owners and it’s worth every penny that you’re paying for. If you’re planning to shoot a lot of action-packed crispy 4K videos from your new GoPro Hero 6 Black, you’ll need a super-fast high capacity memory card to meet your demands. 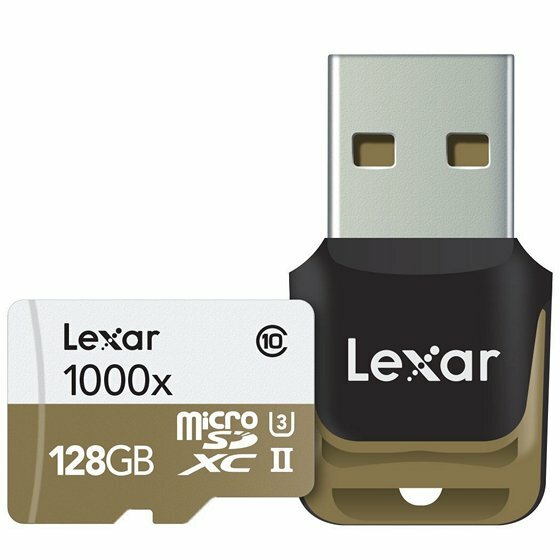 Lexar is a brand that has gained quite a reputation for manufacturing some stellar memory cards and this one is no exception on that regard. With a capacity of 128 GB and a maximum read transfer speed of 150 MB/s, this SD card is fully capable of being used along with the GoPro Hero 6 Black without any slow-downs. It also comes with a microSD UHS-II reader for transferring all the media files to your computer with absolute ease. 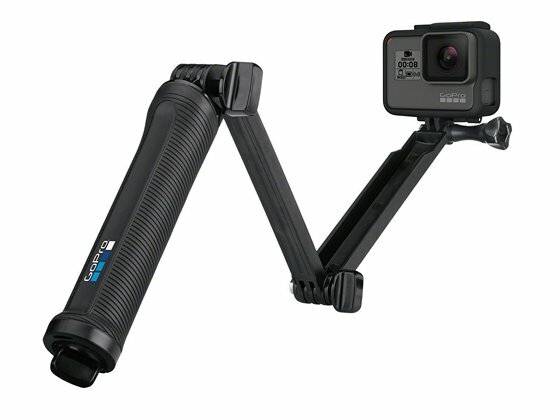 If the pocket-friendly GoPro Shorty is not good enough for you, then this is the one that you should be going for, as it features a three-in-one design. That’s right, the 3-Way as the name suggests, can be used as a camera grip, extension arm, or tripod for ultra versatility wherever you go, thereby letting you get the best shots at the hardest angles with absolute ease. The handle on the 3-Way also doubles as a grip and can be detached and used as a lightweight camera grip. This accessory is also waterproof, so you don’t have to worry about taking it for a dive. If you’re going to handle your new GoPro Hero 6 Black roughly, make sure you purchase the company’s super suit which provides ultimate protection for your new action camera during extreme outdoor activities. 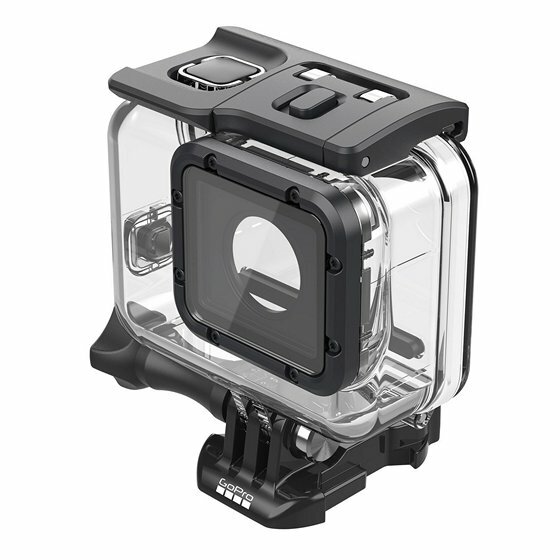 Since it has a dive housing, it makes the camera essentially waterproof up to a depth of 60 meters, thereby making it ideal for deep-water diving. 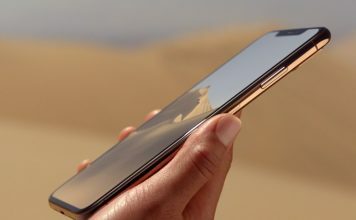 The super suit has backdoors that give complete control of the camera’s touch display, so this is not something that you should be worried about. The new GoPro Hero 6 Black comes with just one battery. 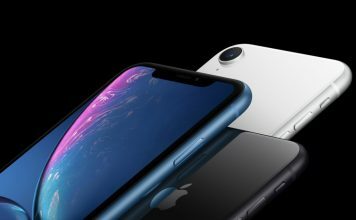 Although you could purchase as many additional batteries as per your requirement to extend the battery life, you’ll have to charge them all one by one. With this official dual battery charger, users will be able to charge two batteries simultaneously, thereby letting you save a chunk of time. 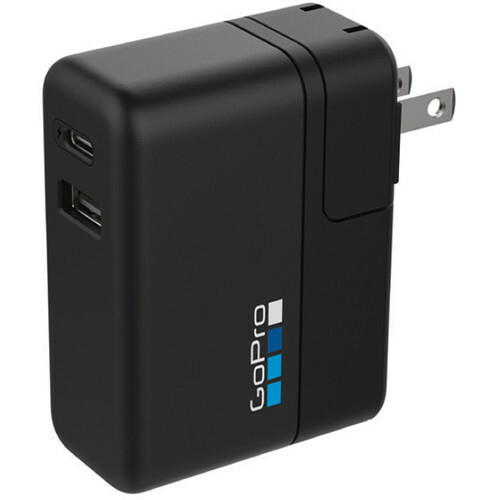 The charger comes with an additional battery for use with your GoPro Hero 6 Black, so the $49 price tag is worth every penny that you’re paying for. If you want to control your new GoPro Hero 6 Black action camera remotely, then this is definitely a worthy investment as it gives you access to all the camera controls and functions from distances of up to 180 meters, which is nothing short of impressive to say the least. It’s also waterproof up to a depth of 10 meters, and thanks to its rugged design, you don’t have to worry much about accidentally dropping it. The remote has a built-in LCD screen that mirrors the camera’s status screen for quick confirmation of camera functions and settings. If you’re a biker, you’ll probably prefer shooting your long rides with your new action camera. 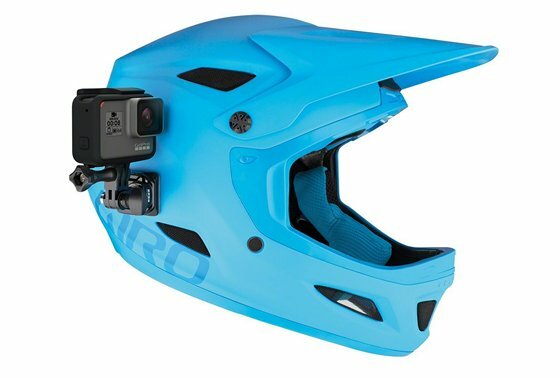 With the GoPro’s official helmet front and side mount, you’ll be able to do that without breaking a sweat. The mount offers maximum adjustability for a variety of shots and capture angles. It includes an easy-to-use integrated mounting buckle. With the included swivel mount assembly, users will be able to easily adjust, rotate and aim while the camera is mounted. This is probably the fastest way to charge the battery on your new GoPro Hero 6 Black action camera, and since it features dual ports, you’ll be able to charge multiple GoPro devices simultaneously. 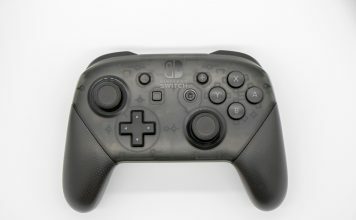 The standout feature of this Supercharger is the fast-charge capable USB-C port that offers 20 to 70% faster charging on compatible devices. Since it’s an international dual-port charger, it includes AC plugs for US, UK, EU, and AU style wall sockets. If you want to charge your new action camera while you’re on the move, this 6000 mAh portable power pack will certainly come in handy, as it will be good enough to charge the Hero 6 Black for up to four times. 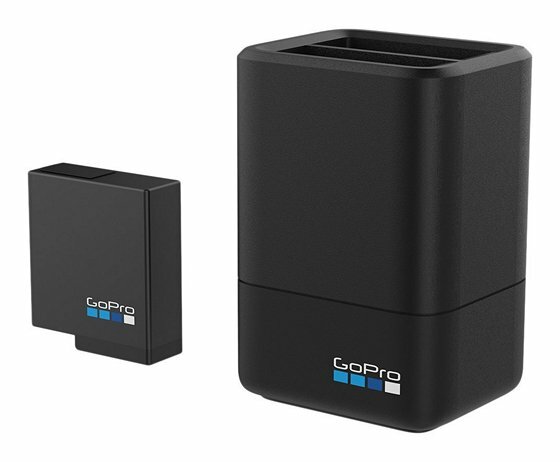 It has dual 1.5A USB ports that’s capable of fully recharging two GoPro Hero cameras simultaneously in approximately 2.5 hours. 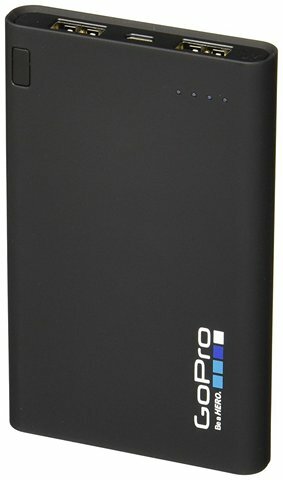 Users can also use this power bank to charge other devices, like their smartphones. Lastly, it takes about 4 to 6 hours to fully recharge the power pack, but timing may vary depending on the power source. Getting stabilized footage on an action camera like the GoPro hero 6 Black is extremely hard and that’s exactly where the Karma Grip kicks in. 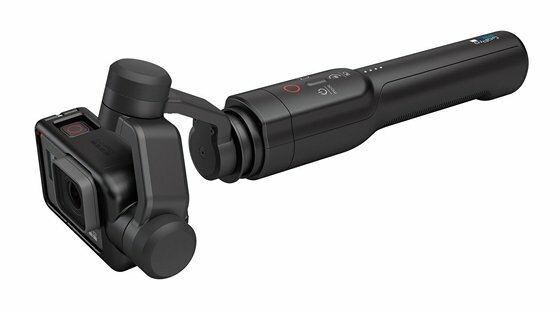 Consider it to be a handheld gimbal stabilizer just like the popular DJI Osmo, as it delivers professional quality stabilization that lets you record cinema-quality video out of your GoPro regardless of where you are. The Karma Grip has built-in camera controls for added functionality and the battery on it is good enough to last for about an hour and 45 minutes. We’ve all seen microSD card readers that are used to view and transfer media across computers as long as they have a traditional USB port. Quik Key works in a similar way, but for smartphones, as it’s a fast and convenient way to access and edit GoPro footage on your microSD card without the need of a computer. 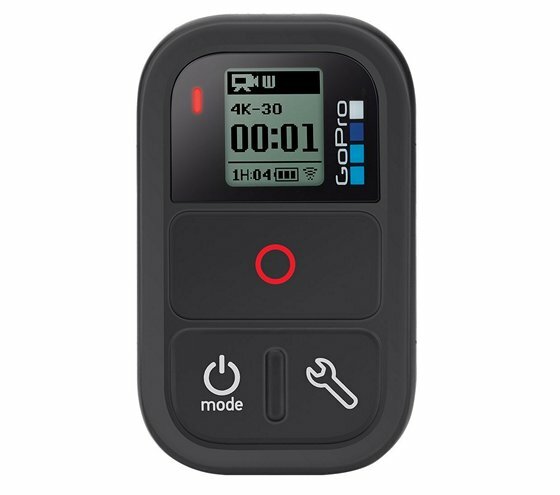 Users will be making use of GoPro’s Capture mobile app to access content on the memory card using Quik Key. That being said, this nifty mobile microSD card reader is available for both iOS and Android devices, so compatibility isn’t something that should bother you. The built-in microphone on the GoPro Hero 6 Black might be decent, but it’s just not good enough for professional use. Therefore, if you want to capture high-quality audio with your new action camera, make sure you connect an external professional-level microphone to the Hero 6 Black with the help of this adapter. 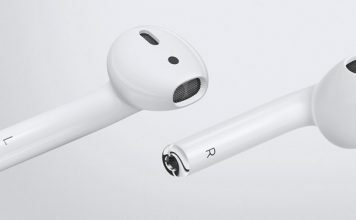 However, it’s worth noting that the audio quality improvement will totally depend on the external microphone that you’re using. If you want to attach your new GoPro Hero 6 Black action camera to a variety of vehicles for on-the-go recording, this official Suction Cup that GoPro has to offer is worth every penny that you’re paying for. It’s designed with stability in mind, and therefore it’s capable of being firm even at speeds above 150 mph. The Suction Cup has adjustable arms that allow for ultra compact mounting and includes a standard base as well as a quick release base for moving conveniently between shots and locations. 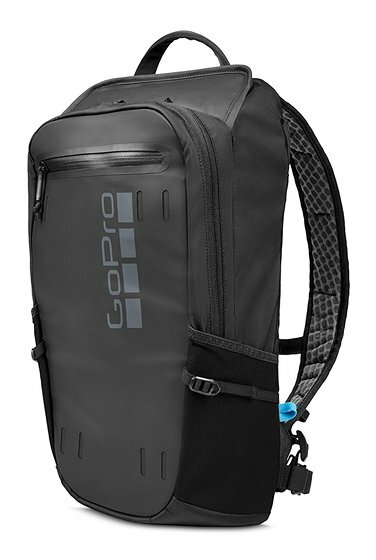 Last on the list, we’ve got a weather-resistant durable sportpack that can fit all the accessories and mounts featured in this list in addition to your new Hero 6 Black action camera, making it an ideal companion for your next adventure. Although the backpack appears to be pretty huge, with approximately 16 liters of storage space, it’s lightweight, so carrying it around is not a herculean task. 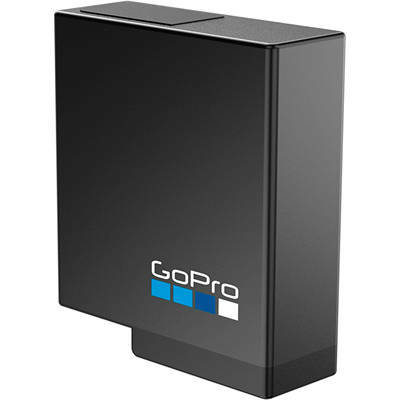 It has built-in, soft-lined compartment that can store up to five GoPro cameras along with multiple batteries, and an adjustable shoulder mount that keeps the Hero 6 Black within reach and always ready to capture the action. Well, purchasing a GoPro Hero 6 action camera is just the first step, as there are a plethora of accessories that can enhance the GoPro experience and change the way you use the company’s new action camera. 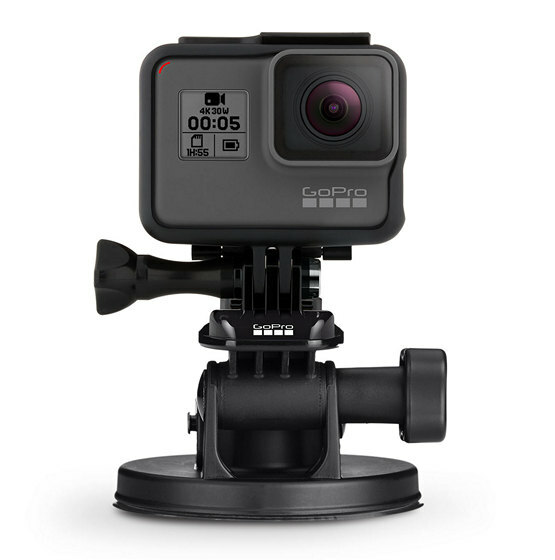 That being said, since the new camera is exactly identical to its predecessor, most of the accessories available for the GoPro Hero 5 Black are compatible with the updated model as well. From suction cups to Smart Remote, there are plenty of options that you can choose from. 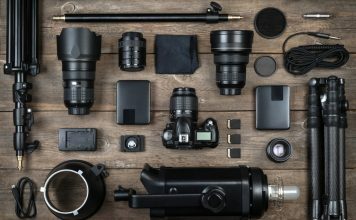 So, which one of these accessories are you planning to purchase along with the new GoPro Hero 6 Black? Do let us know, by dropping a few words in the comments section down below.